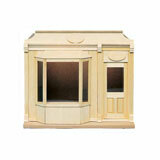 Don’t put limits on your dollhouse dreams. 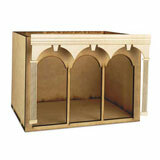 With dollhouse room boxes from Miniatures, you can create nearly anything you can imagine. 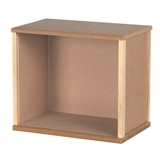 We have a versatile collection of miniature room boxes in different sizes and shapes – so whether you’re looking to build a cozy bedroom, a Victorian reproduction, or a little mom-and-pop shop, our room box kits are ready to be put to work. 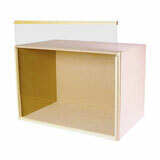 We have unfinished display boxes in small, medium, and large, and corner room boxes to complete your picture. 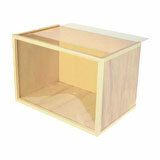 Looking for a step up from basic dollhouse room boxes? 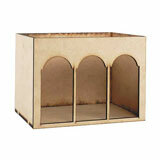 You might love our room box kits with ornate arches, or our display case kits with sliding front panels. 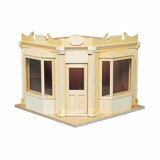 We even carry a full street of shops, so you can bring the Main Street of your dreams to life! 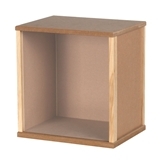 The sky’s the limit with our miniature room boxes. 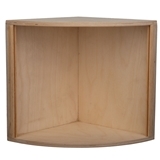 There are few feelings more satisfying than having a vision in your mind and creating a real life version of it out of raw materials. 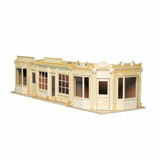 Here at Miniatures, we’re proud to help you realize your vision with our dollhouse room box kits. 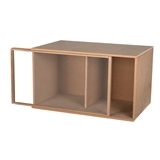 Take a look at our collection and see what speaks to you. 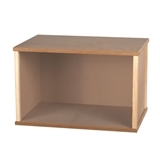 You’re sure to find the perfect canvas for your next miniature masterpiece.